When the pool table has to go - leave it to a pro ! 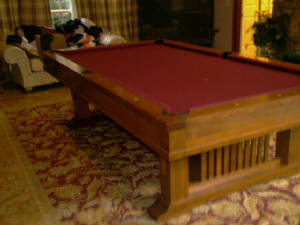 Need a pool table moved? DO NOT hire these guys! ! 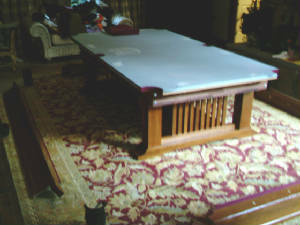 A slate pool table is not light and moving one should not be taken lightly. 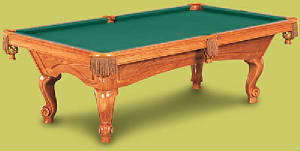 The average weight of a three piece slate pool table is about 800lbs. 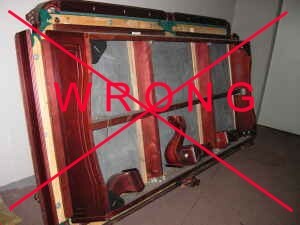 A pool table was designed to be built "on site" - not moved whole. 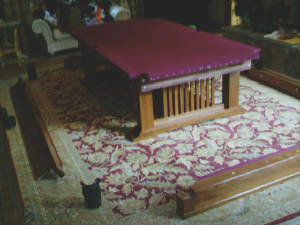 It is made up of many separate components, most of which cannot bear more weight than just the table sitting upright. 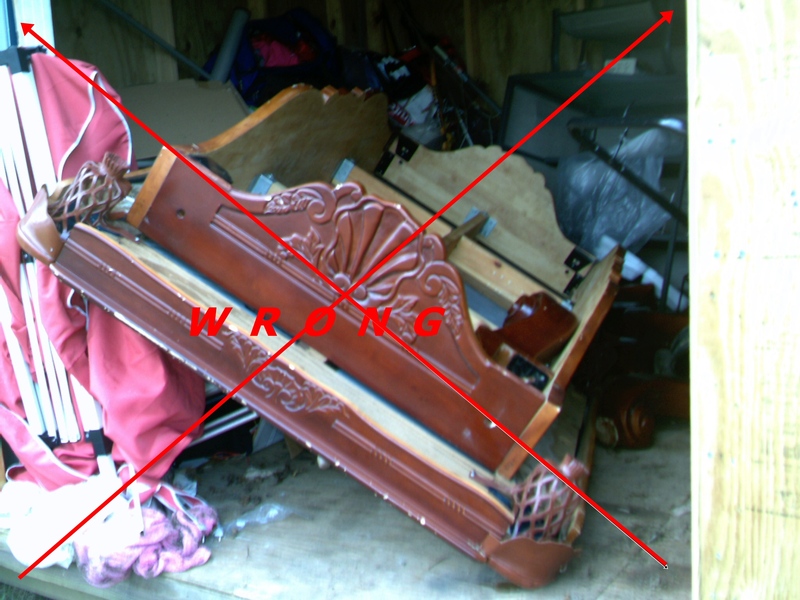 Trying to pick up, slide, push, pull, carry or move in any way without disassembling is a disaster waiting to happen. 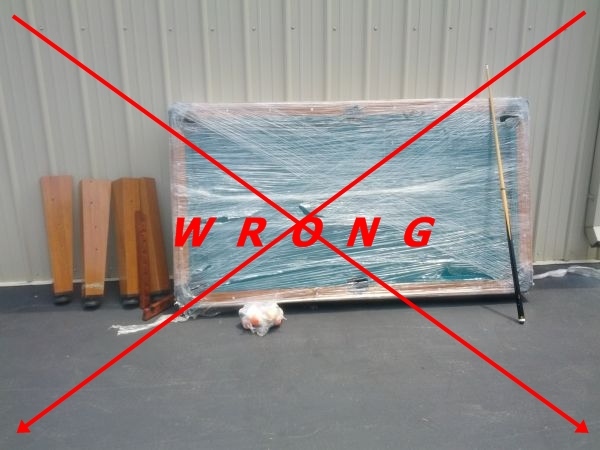 There are many wrong ways to move and store a 3 piece slate pool table . 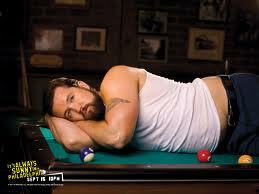 . .
A pool table is an expensive piece of furniture. The cost to move it professionally is usually just about 20% of it’s value. 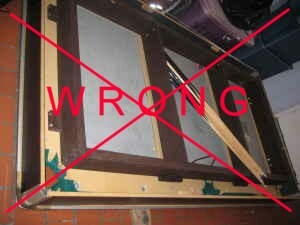 Complete disassembly is the only proper way to move a 3 piece slate pool table. 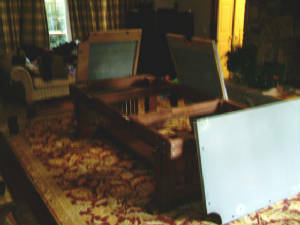 Each piece of slate is removed separately for safe handling. The felt must be removed. Prices vary depending on table size, locations, stairs etc.